Question Can an electronic health record (EHR) alert, targeted to the right physician at the right time, safely reduce unnecessary inpatient cardiac monitoring? Findings In a cluster-randomized clinical trial of 1066 hospitalizations, teams on a general medicine service received an EHR alert when a patient’s telemetry order exceeded the duration recommended for the monitoring indication. In response to the alert, physicians chose to discontinue monitoring 62% of the time, resulting in a reduction of monitoring duration per hospitalization with no increase in potential adverse events. Meaning A targeted EHR alert appears to safely reduce unnecessary cardiac monitoring without the need for human resources devoted to monitoring use or physician feedback. Importance Physicians frequently use cardiac monitoring, or telemetry, beyond the duration recommended by published practice standards, resulting in “alarm fatigue” and excess cost. Prior studies have demonstrated an association between multicomponent quality improvement interventions and safe reduction of telemetry duration. Objective To determine if a single-component intervention, a targeted electronic health record (EHR) alert, could achieve similar gains to multicomponent interventions and safely reduce unnecessary monitoring. 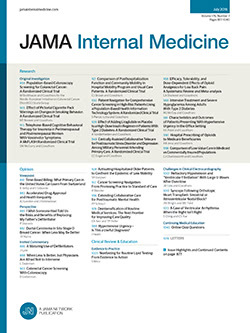 Design, Setting, and Participants This cluster-randomized clinical trial was conducted between November 2016 and May 2017 on the general medicine service of the Division of Hospital Medicine at the University of California, San Francisco Medical Center and included physicians of 12 inpatient medical teams (6 intervention, 6 control). Interventions The EHR alert was randomized to half of the teams on the general medicine service. The alert displayed during daytime hours when physicians attempted to place an order for patients not in the intensive care unit whose telemetry order duration exceeded the recommended duration for a given indication. Main Outcomes and Measures The primary outcome was telemetry monitoring hours per hospitalization, which was measured using time-stamped orders data from the EHR database. Physician responses to the alert were collected using EHR reporting tools. The potential adverse outcomes of rapid-response calls and medical emergency events were measured by counting the notes documenting these events in the EHR. Results Of the 1021 patients included in this study, in the intervention arm, there was a mean (SD) age of 64.5 (18.9) and 215 (45%) were women; in the control arm, there was a mean (SD) age of 63.8 (19.1) and 249 (46%) were women. The 12 teams were stratified to 8 house-staff teams and 4 hospitalist teams, with 499 hospitalizations analyzed in the intervention arm and 567 hospitalizations analyzed in the control arm. The alert prompted a significant reduction in telemetry monitoring duration (−8.7 hours per hospitalization; 95% CI, −14.1 to −3.5 hours; P = .001) with no significant change in rapid-response calls or medical emergency events. The most common physician response to the alert was to discontinue telemetry monitoring (62% of 200 alerts). Conclusions and Relevance A targeted EHR alert can safely and successfully reduce cardiac monitoring by prompting discontinuation when appropriate. This single-component electronic intervention is less resource intensive than typical multicomponent interventions that include human resources.